Stopwatch 11 reset and 1 start. Tap 3 to change mode from Weather to Steps-Chrono. Tap update to update weather. Tap 6 to scroll through ambient options. Tap 9 for 4-step darkness filter and 4th tap is "Theater Mode". 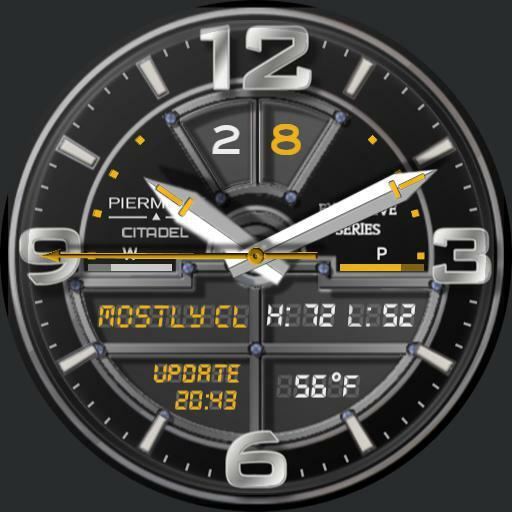 Shows watch and battery levels. Tap 7 and 4 to scroll through ucolor options.